(1935-1979) was an overlooked guitarist who melded blues, bebop, latin, and funk influences into a unique, linear guitar style. 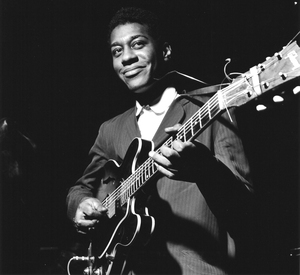 Largely overshadowed by the more conventional jazz guitarists of his time, Green’s harmonic approach was an outgrowth of Charlie Christian and set the stage for many modern jazz guitarists (such as John Scofield). 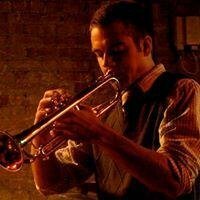 Grant’s penchant for melodic lines in the tradition of Charlie Parker and his singular sound stand as a stark contrast to his contemporaries. While Wes Montgomery could dazzle for chorus after chorus by playing lush chords and his famous octaves, Green was more inclined to leave space or lay down muted, bluesy statements to tell his story. Though he was strongly rooted in blues and jazz, Green could also hold his own in a funk setting with the best of them. Idle Moments (1964) is a landmark in Green’s discography, and was remastered in 1998 by Rudy Van Gelder with additional alternate takes of “Jean de Fleur” and “Django.” With only four tracks, the album’s feel is expansive, mellow, and intense all at once. The title track “Idle Moments,” penned by pianist/producer Duke Pearson, is a gorgeous, 15 minute masterpiece. 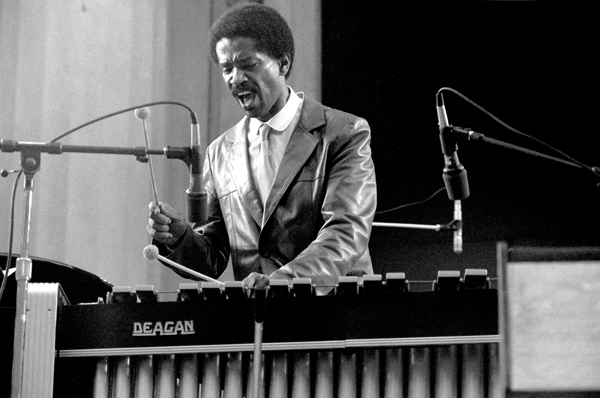 Due to confusion about the chorus length, Green, Bobby Hutcherson (vibes), Pearson, and Joe Henderson (tenor saxophone) double up on their improvised solos, which contributed to the lengthy cut. Despite the mix-up, the results are stunning. Henderson’s dry sound, thematic development, and inclusion of altered harmonic minor scales are a clear highlight of this track. “Jean de Fleur” is a Green original. infused with his love of catchy riffs and unpredictable harmonic trap doors. Al Harewood (drums) and Bob Crenshaw (bass) dig in to provide a swinging backdrop for solid solos from the whole group. Green, Hutcherson, and Henderson expertly expound on the tune’s winding road map. “Django” is a breathtaking interpretation of John Lewis’s tribute to Django Reinhardt. After an introductory statement by Pearson, the group plunges into a somber, chamber-like ensemble section. Green’s guitar blends beautifully with the blueish hues of Hutcherson’s vibraphone, while Henderson provides a mournful counter melody. The arrangement transitions into a more uptempo solo section that manages to cover a lot of ground: minor moods, a blues march feel, and a grooving Crenshaw bass line in tandem with a hopeful, catchy horn riff. “Nomad” is a thoughtful contribution by Pearson that hearkens to the harmonic structure of “Milestones” with a few Hard Bop twists. Pearson’s title is appropriate to capture both the spirit of this tune, and also to the album as a whole for its scope and ambition to cover new ground. Idle Moments serves as a monument to not only Green’s chops as a guitarist, but also to his ability to infuse his sessions with an infectious, melodious groove. As the evolution of the Jazz guitar continues, Green will undoubtedly be remembered as an important figurehead. This post was contributed by Denver-based musician and blogger Justin Scoville. He maintains his own website www.thejazzdaddy.com, He also contributes actively to jazz blogs throughout the Denver area.